After a successful LEPCA I conference at the Peace Palace in The Hague in May 2014, with more than 200 specialists in the field of International Child Abduction, we are proud to say that the LEPCA II project is now well underway. Within this project the International Child Abduction Center in the Netherlands (Center IKO) and the German based NGO MiKK e.V. International Mediation Centre for Family Conflict and Child Abduction (MiKK) are organising new activities in 2016 and 2017 in order to keep the knowledge of the created LEPCA network up-to-date and bring it to a higher level. LEPCA II is an advanced training project for lawyers and legal professionals who deal with international child abduction cases under the 1980 Hague Convention, the Brussel IIa Regulation and the 1996 Hague Convention. In the course of 2016 four webinars are taking place. 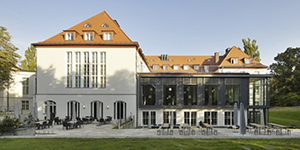 On 26-27 January 2017 and in 2017 the blended training conference was held in Berlin. In the historical Harnack Haus different interesting speakers have given a lecture in the plenary sessions. The moderator has led the questions and discussions. These questions and discussions brought new insights with them. During the two days of the conference nine different workshops were conducted. All the participants have attended three of these workshops. After these workshops, the most relevant conclusions were shared in a plenary session. 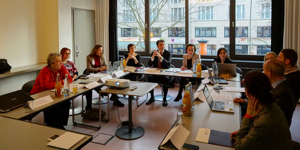 Many lawyers who attended the LEPCA I conference in The Hague, were present at the LEPCA II conference in Berlin. This led to a lot of recognition and to interesting discussions. The LEPCA team looks back on an interesting and successful conference. Click here for the photo’s of the conference. The final step will be an evaluation with impact assessment. The objective is to build on the legal expertise of the lawyers and enhance their cooperation in order to strengthen the LEPCA network. 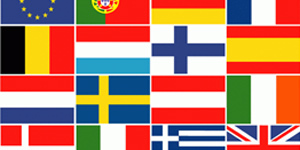 Associate Partner organisations are law firms in Belgium, Finland, France, Italy, Spain, Sweden and the United Kingdom, and non-governmental organisations in Bulgaria, Poland and Hungary.